The Samsung Galaxy S10 won't be released until February 2019 but we have a tantalising glimpse of how the new Galaxy could look, based on a series of S10 leaks and rumours. Freelance designer Jonas Daehnert has taken those rumours, added some design inspiration of his own and wrapped everything up in some sweet 3D concept renders of the new Galaxy S10, which he posted to his @PhoneDesigner Twitter account. On the front of the phone, we see that much-talked-about in-screen fingerprint reader, which was rumoured to be arriving with the Galaxy Note 9 but now seems more likely to first appear on the S10. The back of the phone has been given a transparent finish, so you can see all that lovely tech that powers the new handset. 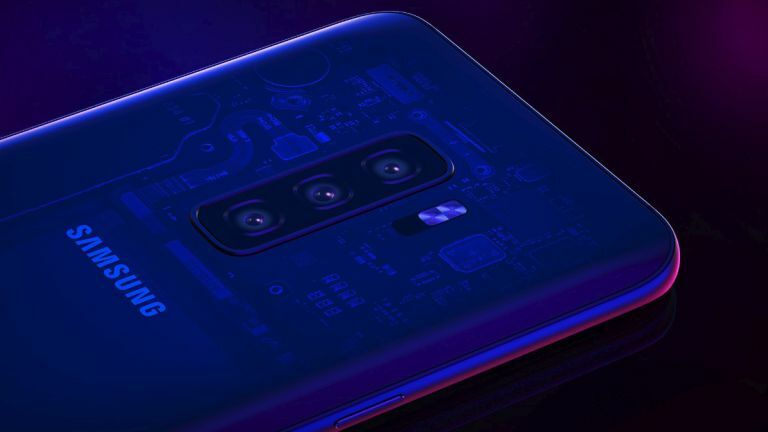 Samsung wouldn't be the first to go for a see-through back – the new Xiaomi Mi 8 Explorer Edition has one, as does the HTC U12+ in its "Translucent Blue" colourway. Perhaps transparent backplates are the next phone design trend once we've nixed notches and banished bezels. Sitting right in the middle of that transparent backplate is a triple lens camera. It's not unfeasible to think that Samsung will go for three cameras in its next Galaxy S – the Huawei P20 Pro is rocking three and there are rumours that the new super-sized iPhone XL will also come with a triple lens camera. Expectations are certainly riding high for the Samsung Galaxy S10, perhaps because the Galaxy S9 was an iterative improvement on the S8, so now Samsung fans are keen to see something special from the South Korean brand. And with Sony now publicly talking up its next-gen Xperia phones it looks as though next year's Mobile World Congress could have some exciting reveals in store.